The Wild Cards universe has been thrilling readers for over 25 years. 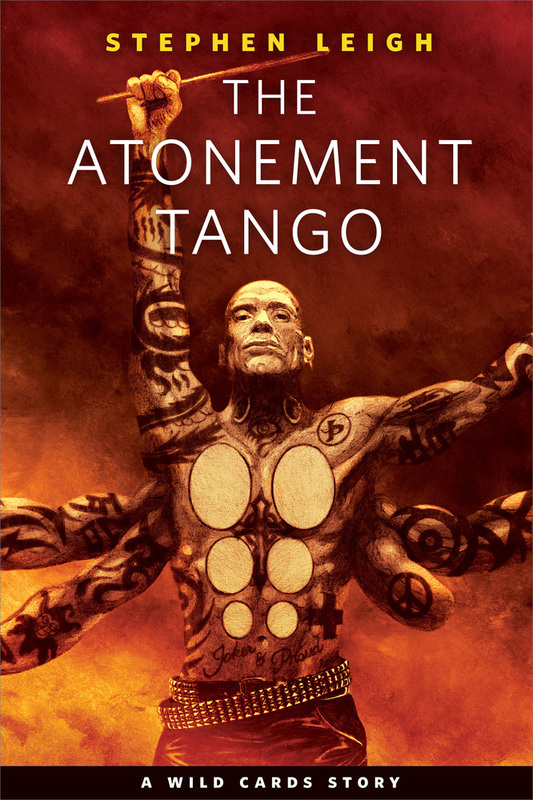 One act of terrorism changes the life of Michael "Drummer Boy" Vogali forever in Stephen Leigh's "The Atonement Tango." Now without his band, Joker Plague, Michael must figure out a way to re-build his life--and seek revenge. Stephen Leigh has been writing science fiction since he was in grade school. His first professional sale was in 1975 (to Ben Bova, then the editor of Analog Science Fiction Magazine) and has been publishing regularly ever since then, both with short fiction and novels. He is also the author of several novels, including Slow Fall to Dawn, A Quiet of Stone, Assassin's Dawn, and The Crow of Connemar. He has been nominated for and won several awards for his fiction over the years. He's written several stories for the Wild Cards shared world universe (edited by George R. R. Martin). He has also written and published the occasional poems and non-fiction pieces, as well.